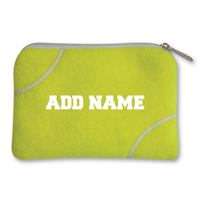 You take your keys with you everywhere, so show your love for the tennis throughout the day a key chain made from authentic tennis ball material. 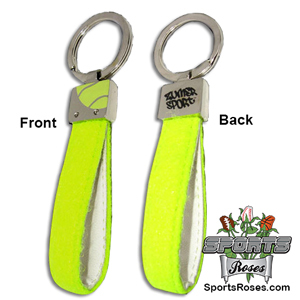 The key chain loop provides a handy way to grab and carry around your keys and is made using authentic tennis ball material. Personalize It! Add a name or short message (up to 12 characters) to the keychain loop for a small additional charge. Personalization is printed in white in ALL CAPS. No minimum order required.